LinkedIn is the professional online networking site of choice for over half the professional people in the world. There are over 360m users worldwide with 18m+ in the UK alone. If you are in any sort of professional or commercial office based role, you need to be on LinkedIn. And it’s not just the online cv that many people think it is. It is a powerful tool to find and connect with anyone you need to meet in the business world. You may have heard about the 6 degrees of separation. This is where everyone is connected to everyone else through a maximum of six connections. For example, one of my colleagues has a client, who has a client that makes saddles. Some of the saddles they make are for Prince Charles and he is obviously connected to the Queen. So I am 5 connections away from the Queen! Now with LinkedIn, you are realistically only 3 connections away from any business contact you need to make. My colleague Andy was challenged by a client to find an English lawyer that spoke Portuguese and was conversant with Portuguese property law. 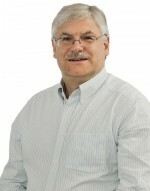 Andy thought it was a wind up but the client had a property in Portugal that he was having some issues with and he desperately needed a bi-lingual lawyer. Within 24 hours Andy had the client talking to a suitable lawyer – all through the power of LinkedIn. So how do you connect with your target clients on LinkedIn? You name it, it’s out there on LinkedIn. So do yourself a favour and brush up your profile. Get a professional style head and shoulders picture of yourself on there. Present yourself as you would if you were walking in to a business meeting with a contact. Do yourself justice! I had one connection message from someone I followed on Twitter that said something along the lines of “I build and manage for you powerful sales teams! What’s your email, I’ll send a proposal!”. Would you walk in to a networking meeting and say that as your first sentences to someone? Of course not, so why do it online. But I see people do this time after time with their first message to me on LinkedIn. You need to build a rapport and demonstrate value to your connections. If you identify someone you want to connect with and potentially do business with you need to find some common round to start a relationship on. Maybe you are both members of a LinkedIn Group or you have both commented on someone’s post. Maybe you have a shared interest. Find a way to make a connection, but never, never sell. Not even a hint of it. Once connected, keep the conversation going. Share comments, or articles you think they may find useful. If you have some material you can give them that would be helpful then do that (like my 9 Points guide….). Keep developing the relationship and gradually you can move towards a more sales oriented conversation. Yes it takes time, but people like to buy from people they at least think or feel they know. The stranger shouting buy this – no matter how good this is – wont get a look in. Where to find your target connections? That’s a topic for a future blogpost. Do your marketing e-mails get read? To get your e-mail opened you have to be a trusted source and/or you need an interesting or intriguing headline. But getting the e-mail read is a different matter. Once opened you need to engage with the reader and be relevant to them. The more relevant and specific to them you can make the content, the more likely they are to read it and, more importantly, take action. I say take action because I’m assuming you have included a call to action in your e-mail. Not a call to buy, but a call to action. A call to do something because it is relevant to reader, will result in value to the reader, and will build their trust in you as a business. Are you interested in a strategy that does just that? Well if you are reading this part of the blogpost and it’s because you received the my weekly e-mail newsletter, then you have seen the first part of the strategy in action. If you came direct to the blogpost and would like to get the e-mail so you can see the whole picture then connect with me on LinkedIn – uk.linkedin.com/in/allenruddock – and message me asking for a copy of the e-mail. Targeting – your marketing needs to be targeted a specific niches or groups. The target for the e-mail that publicised this blogpost is owners of small businesses that engage in e-mail and social media marketing. Relevance – every small business owner using e-mail marketing wants to increase the open and read rates of their e-mails. This e-mail and blog post is directly relevant to them. Get the picture? 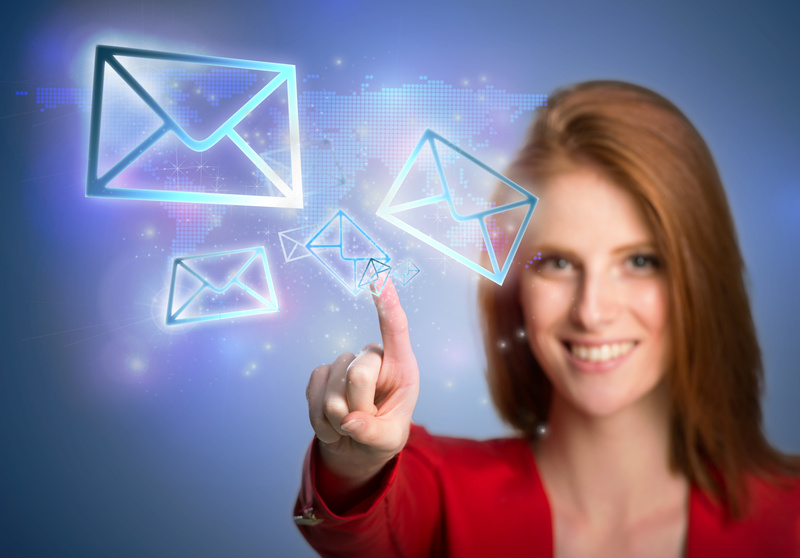 Value – the e-mail and blog post provides an insight into how to get e-mails read. To some it might seem obvious, but many people don’t follow the simple strictures and rules I’m setting out here. So even if you know this stuff it is a timely reminder to use it every time you write a communication to your clients and prospects. So it is delivering value to the reader. Part 1 of the strategy isn’t new or innovative but so many communications don’t follow it. It can be used in all forms of communication. Part 2 of the strategy is a little different. As I said at the start, most marketing e-mails don’t get read – when they appear as a regular e-mail in your inbox. That’s because most of the people you send marketing e-mails to don’t really know you. Bur what if you marketing e-mail appeared to come from someone they do know? Chances are it will get read. So How do you perform this trick? LinkedIn. Most messages sent to connections on LinkedIn get read. Most as in more than 90%. OK, you can’t broadcast e-mail them like you can with Mailchimp or Infusionsoft, but you can message up to 50 at a time. Be sure to click the box that says don’t allow recipients to see who has been sent the message. They can’t be personalised so the message needs to be carefully crafted to still feel personal. But I personally focus on sending individual messages to each person. Longer and more time-consuming, but very targeted and relevant and therefore much more effective. If you know your message is near certain to get read doesn’t that make it worth the time? Now, to be able to use part two of the strategy you need to be connected to your target client. How can you get connected to them? Surely it will be obvious you are trying to sell. Not if you adopt the right connection strategy. I get a lot of outright sales messages on LinkedIn. Mostly via InMails, the paid for messages. A virtually all of them are looking to either make a sale or get a call to make a sale. These are an expensive waste of time for the sender and an irritation to the receiver. There is a much better, and infinitely more effective way to do…. But that’s the topic of next week’s blogpost. If you can’t wait and want to find out more, join one of my Online Bootcamps where we cover all this sort of stuff in much more detail. ‘See you’ next week. It’s midway through the year so it’s time for reviewing goals and objectives for your team and your business. It’s a frustrating time for a number of reasons. A survey of small businesses found that on average owners only spend 2 days a year working on their businesses rather than in them. I spend a full day every quarter on reviewing my business objectives for the year, getting in to detailed specifics for the next quarter. That’s without the other time I spend planning and building my business and it’s systems to support my clients. So, do you have goals and objectives for your business and your staff? Many don’t and that’s my first frustration. How can you adjust your strategy if you don’t have one in the first place? 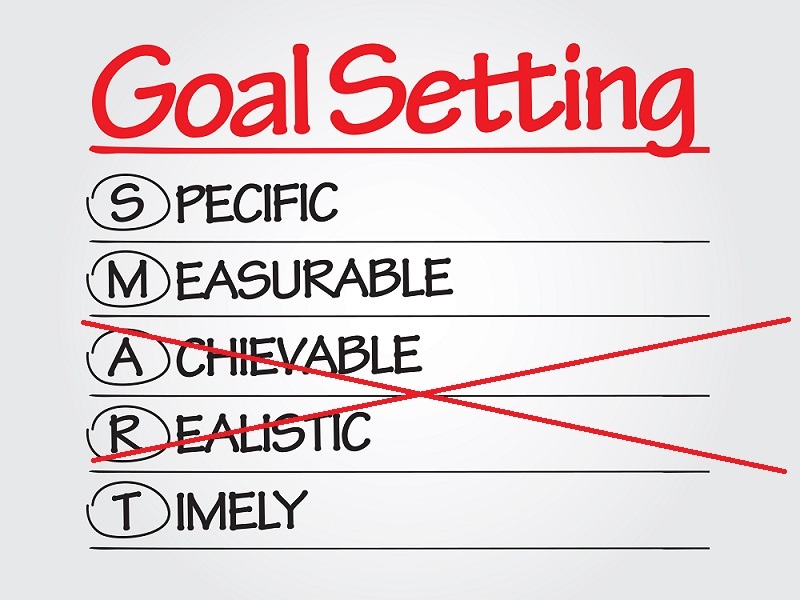 Goal setting can be hard but it’s a habit well worth developing. The second frustration is with those that do have goals or objectives. It’s because they are typically set up to target mediocrity. 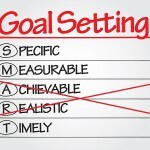 When goal setting for your team or business, be challenging. Most people are taught that objectives must be SMART – Specific, Measurable, Achievable, Realistic and Time-bound. I don’t have a problem with S, M and T, but achievable and realistic? That’s where mediocrity sets in. It sets people and businesses up to underachieve. As a counter I often hear people say that they have set stretch targets – still achievable and realistic, but designed to encourage people work a little harder. I don’t want people to work a little harder, I want them to work smarter – much smarter. I want them to think differently and challenge what they do and how they do it. You see, if you always do what you’ve always done, even if you do it a little harder you’ll still always get what you’ve always got. I want my business and my teams to achieve a lot more. To do that we need to approach things differently. We need to try things, challenge the norm and innovate. To encourage people to do that I like to set big, hairy arsed goals that can’t possibly be achieved by just working harder. By all means stick with SMART goals, but make the A Aspirational and the R Relevant. Then make the objective BHA – Big and Hairy Arsed! Aim for the stars not the end of the street. You’ll be surprised what you can achieve.